Whether you call them Classic Blondies or Butterscotch Brownies, you need this Best Blondie Recipe Ever in your life! Perfect to whip up at the last minute for any occasion, this chewy blondies recipe is a must-have for everyone! Traditional brownies are made with chocolate and they are–well–brown. Blondies don’t have any chocolate and they come out with a nice golden color that is much lighter than traditional chocolate brownies. I suppose that’s how they got their name. What do blondies taste like? Blondies get most of their flavor from brown sugar and vanilla. They have a butterscotch-type flavor, even though they don’t have any butterscotch chips or butterscotch pudding mix or any other added flavor. One of the hallmarks of a good blondie is that it is tender and chewy. Blondies use brown sugar exclusively (no white sugar). The brown sugar has a higher moisture content than white sugar, which is what makes the blondies nice and chewy. But make sure you don’t overbake them, or they will be dry. What kind of oil do I use in blondies? You can use practically any kind of oil or fat in these brownies, but different varieties do affect the appearance of the brownies. I find that butter and coconut oil cause the brownies to be a little more “wrinkly” around the edges, while vegetable oil gives it that perfect crackly crust. Coconut oil also causes the brownies to seem a little more greasy (which is what I typically find with recipes that use coconut oil). What size pan do I bake blondies in? My mom’s original recipe says to bake these in a 9×11 pan. Since that is not a standard-sized pan, I have baked these blondies in both a 9×13 and 8×8 pan. If you use a 9×13 pan, you can expect rather thin blondies. I personally prefer to use an 8×8 pan so I can get nice, thick blondies. This recipe suggests a baking time of 30 minutes for an 8×8 pan. (If you use a 9×13 pan, you’ll need to reduce the baking time to about 22 minutes). These are SUPER fast to whip up, and I guarantee you already have all the ingredients right now. So the next time you need a treat in a hurry (without a trip to the store), these classic blondies are just the ticket! 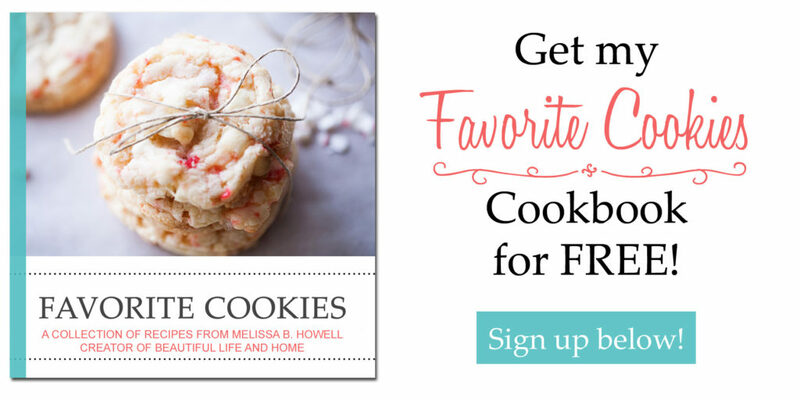 Want more delicious treats you can make in no time? Try these! Whether you call them Classic Blondies or Butterscotch Brownies, you need this recipe in your life! Perfect to whip up at the last minute for any occasion, these chewy blondies are a crowd-pleaser, every time. Preheat your oven to 350 degrees F. Grease and flour an 8x8 baking pan or glass baking dish. In a medium-sized mixing bowl, stir together the vegetable oil and sugar until no lumps remain. Add the flour, baking powder, and salt, and mix until just blended and the flour disappears, with very few lumps. Pour into your greased and floured pan and bake for 30 minutes. Allow to cool completely before cutting and removing from pan. Be sure to scroll up and read the post for important tips and information about these classic blondies! Blondies are my love language! We tried this version last weekend when my kids wanted a treat and there wasn’t a morsel left in the pan afterwards. Yay! Yes, these disappear so quickly! I needed a pan of bars for a church function and I made these. I’m proud to report the entire pan came home empty! So happy to hear! These are crowd-pleasers for sure! These look so moist and chewy and amazing! I don’t make blondies often enough!! I can’t wait to try your version! Thanks, for a great recipe! My hubby loves butterscotch and boy did he like these! Just wanted to swing back an say great recipe, thank you!